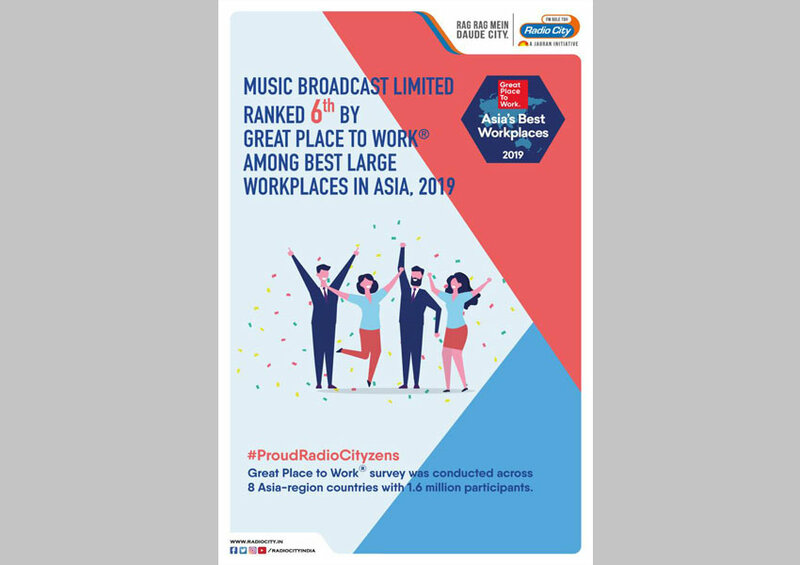 Music Broadcast Limited ranked #6 on this year’s Best Workplaces in Asia, 2019. The study measured almost 1,200 eligible organizations that successfully created high-trust and high-performing cultures in the Asia Pacific and Middle East regions. More than 1.6 million employees participated in the survey studies in 8 Asia-region countries where Great Place to Work is represented.